Sadly they took Defoe off - they didn't play Crouch - they played Gerrard on the wrong side - they took off Milner - and they brought Heskey on ...................... so many mistakes!!!! That was on top of the goal that went in two foot behind the goal line and the ref chose not to see. When will they get into this century and bring in technology??????? It's about time there were major changes starting with quite a few retirements!!!!!!!!!!!!!!!!!!!!!!!!!! England was pathetic but Germany was incredible and its a happy result for Germany fans. Good morning and Happy MM! enjoy your Monday. :) ... wah i must the only one on the planet that didnt watch the match last night.. lol! 4-1 eh? terok tu Mon! i saw germany kicked in the first goal.. then i dint stay up to watch further.. 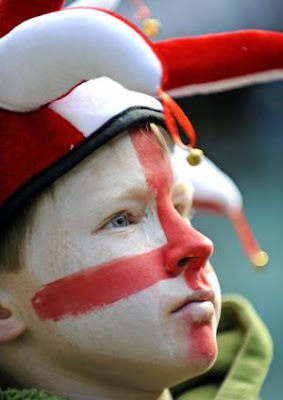 Nothing against England but I can see they did not play very well this time around. Or were the Germans more superior? And of course, that referee should be fired! Oh, so you are very supportive of Eng? Haha! 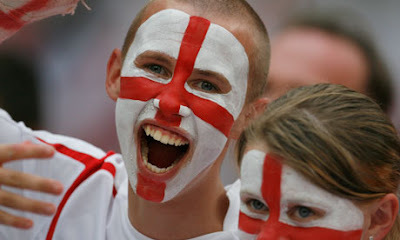 England football song some more. OK lah sorry to hear that they lost! Anyway, go Argentina go! Beat Germany!! I totally agree with you Polly!! yes that referee should be fired!!!! Lucky i was around to cheer and support oso lol! Think of the moolah la to get me going ha ha! 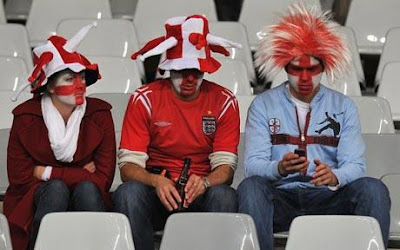 oh, sorry to hear your england lose against germany!